Try the download folder, although I think they do get saved to the DCIM folder and probably the gallery app just isn't refreshing or indexing the saved files. Neither of the folders had them.. I had to download another texting app to save them..
Not completely when I save pics for Google Chrome they are not saving in gallery they go to. My download folder and I can't even save them..
How can you not save them if they're going to your download folder? If they're in that folder you can move them to where you want them with a file manager. If these are photos from a Google image search, you may need to tap the three dot menu button, and select "view in page". Once the image reloads, you can long press and save it to your downloads folder. Try moving the photos to your DCIM folder. Welcome to Android Central! What app are you using to save the images? When I use the Google Quick Search Bar, do my search, switch to Image Search, long tap on the image and select download, the notification says it downloads, but it is not in my DCIM folder, my Gallery, or any where that I can find easily. This only happens when I save from the image search using the Google Quick Search bar. Welcome to Android Central! 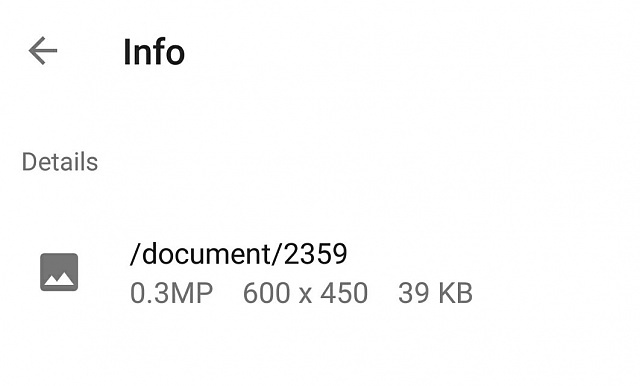 If you're using the Google app to download an image from the image search, it saves the image file to the /documents directory, which is actually a protected system directory (and therefore means you can't access it directly using a file manager). You can Share the image to your Google Drive instead, after which you could manipulate it in whatever way you want. I suggest doing the search on Chrome instead. It works the same way, and the image you download will be saved to the /Download directory, which is user-accessible. I have no idea why Google does this. Welcome to the forums. Saving pictures from the Google app can be tricky sometimes. You can save them inside the the app from the search screen, but if you want to see the picture from the gallery sometimes you need a few more steps. Select the picture, open (visit) the page where it's included and then long press to download it. 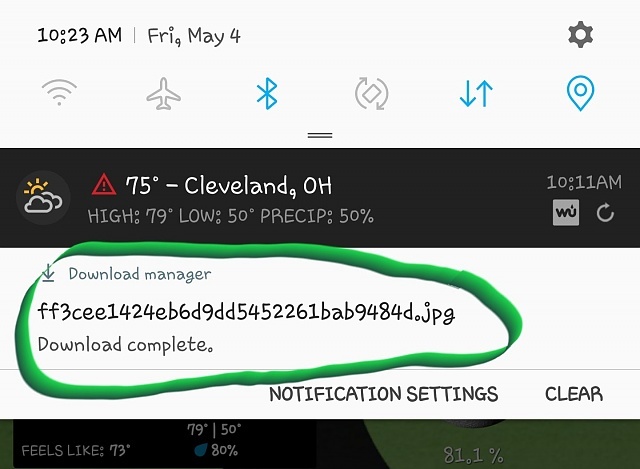 But I got the notification something downloaded some where on my phone when I selected download image. Where is that? There's a few things in that secret location now. Images attached to see what I'm seeing and why I'm confused. To be honest, I don't know Probably in a protected folder, as B. Diddy said. A bit later I could run a few tests on my phone and see if I can find the right location, but I'm not very confident about the results. This is a weird thing about downloading from the Google app. You can try the steps I posted before or use Chrome, as B. Diddy said. Another possibility is of you open the picture from the download notification and then see if you can get more details from there, this is what I'll try later. Just to confirm what B. Diddy said, the picture is saved in /document and it can't be accessed even with a file explorer. It can be opened or shared just once from the notification, but it's basically lost after that. B. Diddy and jcolma1979 like this. Yep, that's what I've seen as well. Again, I have no idea why Google does this. If you do the exact same thing, but starting from the Google website in Chrome, you won't encounter this problem. How do I save video pictures on text message to gallery? Can I reach files on my moto g to save on computer if phone screen is not working? How do you save photo's from Gmail to gallery on Samsung Galaxy Note 4?